Broken Arrow Nursery is a well-established nursery with a large retail store located in Hamden, CT. It’s a destination shopping experience for people far and near, with a catalog division for mail orders to customers throughout the U.S. The print catalog evolved to selling plants online via their standard website. The success of this led the owners to invest in a true e-commerce website to substantially expand and increase online selling possibilities. Scalability to accommodate the huge existing and ever-increasing inventory was crucial. Broken Arrow sells many native, common, unique, hard-to-find, and specially-cultivated plants (example here). Their arborists and plant specialists are respected thought-leaders in this niche industry. Goals for the website also included solidifying BrokenArrowNursery.com as the go-to source for plant expertise and information on thousands of species. The Medium Well team had extensive content to work with in order to optimize the site for search results, primarily in the form of Broken Arrow’s large index of plants. The original, quality content (detailed plant descriptions) creates long-term inbound traffic as pages become indexed by the search engines and visited by users. High quality images of Broken Arrow’s extensive inventory of beautiful plants also enhance the browsing and shopping experience. 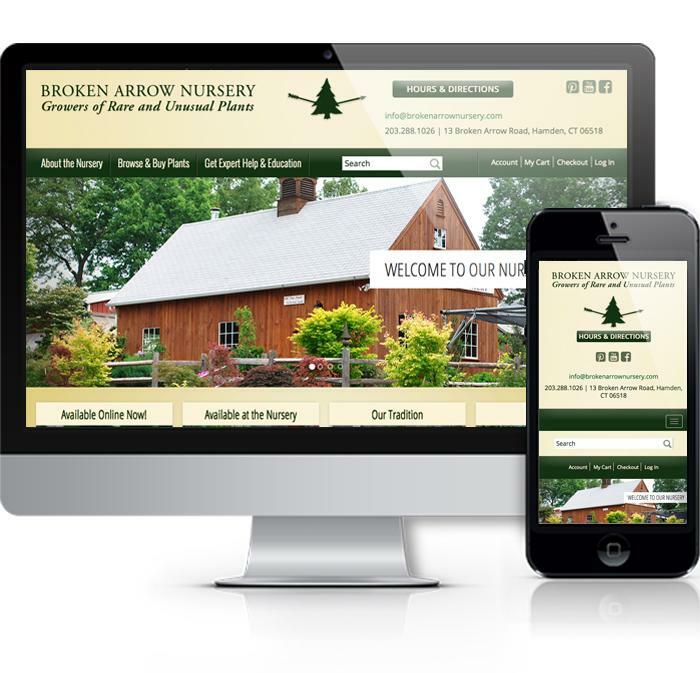 Broken Arrow Nursery’s retail site is an attractive destination for people to visit and explore, and now the website is a magnet for customers too!